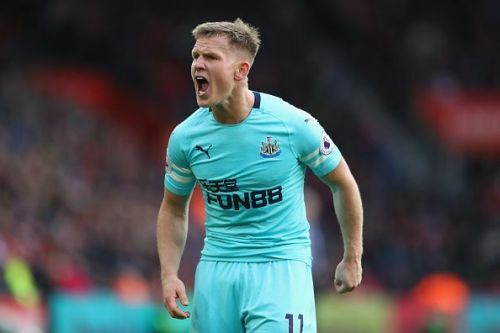 Newcastle United: When will the Magpies earn their first win of 2018-19? Newcastle United and manager Rafa Benitez continue to struggle during the current Premier League campaign, without a win thus far through ten games. Their 0-0 draw at Southampton this past weekend featured another dreadful attacking performance, as the Magpies were unable to register any shots on target throughout the match. Rumours continue to swirl around Benitez’s future with the club as well, as the Spanish tactician is in the final year of his contract at St. James’ Park. Ultimately, Newcastle and the fans need something to shout about, something to celebrate. The overall mood is negative, and the only true remedy is earning a victory. Looking ahead, there could potentially be fixtures on the horizon that can result in three points for the Toon. Unfortunately, there are not many. Two consecutive home encounters are on the way, beginning this Saturday against Watford. In the top half of the league table and playing well under manager Javi Gracia, United will need some good fortune to get the better of the Hornets this coming weekend. Another difficult battle follows in the form of Bournemouth, another side in good form at the moment. Remarkably, Newcastle have been much more successful outside of Tyneside. Their three draws this season have been away matches, even though they have not scored a goal on any of those occasions (all 0-0 scorelines). With the hope of some attacking potential coming alive, perhaps a trip to Burnley on November 26 could be the moment for Newcastle supporters to see a win. West Ham, Everton and Wolverhampton are all next. Considering their current results, all will present a major challenge for Benitez’s side. December 15 will be a key day, as Newcastle travel to face the one club below them in the table. Also without a win and sitting on three points, United are above Huddersfield Town in 19th place thanks to goal difference. The Terriers have been abysmal in the opposing half, netting only one goal in their last four league matches. When they host Newcastle in December, it will likely not produce many highlights in terms of attacking excellence, but it is a moment where the Magpies should feel a sense of confidence that they can truly go at the opponent. With striker Salomón Rondón getting back to full fitness, fans will be looking for him to start having a positive impact for the front-line. Newcastle United are in genuine relegation danger this season and need to earn their first win sooner rather than later. That may not arrive until December, which is certainly a scary thought for the Toon Army.